She loved him, but did she know him? The night before they plan to move in together, Quille finds the body of the man she loves dead in his apartment. Police point to his failed medical career and past alcoholism as evidence of suicide or accidental overdose. His ex-wife agrees. Marcoâ€™s son insists his father was stable, sober, and excited about his future with Quille. Suspicious of the police based on bitter experience, Quille vows to find the truth and help Marcoâ€™s son. Using her skills as an attorney and former stage actress, she investigates a world filled with fraud and corrupt Chicago politics. The closer she gets to the truth, though, the less likely she is to survive to tell itâ€¦. 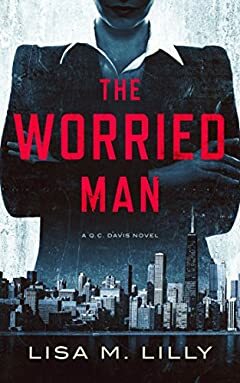 Read The Worried Man Today.